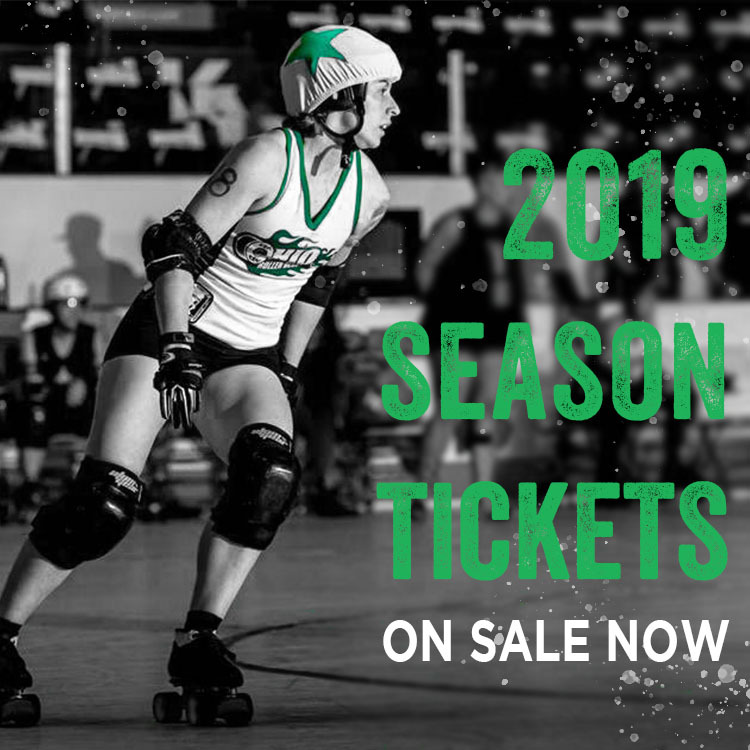 Season Tickets include one admission to each of Ohio Roller Derby’s five home games in the 2019 Season. Visit our online store to buy tickets! Individual game tickets will go on sale February 1. The 14th season is here for Ohio Roller Derby! All home games are doubleheaders at the Ohio Expo Center, located at 717 East 17th Avenue. The first four home games are at the Ohio Building, with the final game moving to the Lausche Building. Ohio Roller Derby will hit the road – see where OHRD is headed in 2019! Games are held at the Ohio Expo Center, 717 E 17th Avenue. The March 23, April 6, May 11, and June 8 games are in the Ohio Building. The June 29 game is in the Lausche Building. Opening ceremonies at 4:45 p.m.
First game is at 5 p.m.
Second game is at approximately 7 p.m.
Die-hard derby fanatics will stay for the whole night. If you’re new and just want to get your feet wet, you may choose to watch only one bout. The Expo Center charges $5 per vehicle; carpooling is strongly encouraged. The venue is a short walk from the OSU campus area and COTA bus routes stop right outside the Expo Center. Food and drinks are available on-site, and we also encourage you to visit our local sponsors before the game – or join us at the afterparty. Please do not bring outside food or drinks into the venue. The Expo Center sells standard fairground fare and beverages, including beer. Bringing outside seating is prohibited in the Ohio Building, but permissible in the Lausche Building. Trackside seating is always 18+. We strive to make our games kid-friendly, and we love to see your little skater tots cheering in the stands! Children under 8 are always admitted free. One of the best things about roller derby is how accessible the athletes are – roller derby players really love talking to our fans! Please feel free to flag us down when you see us roll past. We’ll sign autographs, take photos, shake hands, kiss babies – we will entertain most reasonable requests! Roller derby is a full-contact sport and the action on the track is fast, so sometimes things can get confusing! We’ve written a “Derby 101” lesson for you here so you can get started with some background reading. On the day, we’ll keep you informed with information in your program and helpful commentary from our knowledgeable announcers – or feel free to ask a passing derby skater to help you figure out what just happened!